A worker at the skating rink at Beaver Creek, Colorado, made the day of a little boy and a vacation for a family. And he did it by "not treating Charlie special." Charlie Sumner has cerebral palsy and was a "medically complex" infant, his mom Jamie Sumner told "Good Morning America." He had a trach and the family couldn't leave the house much. 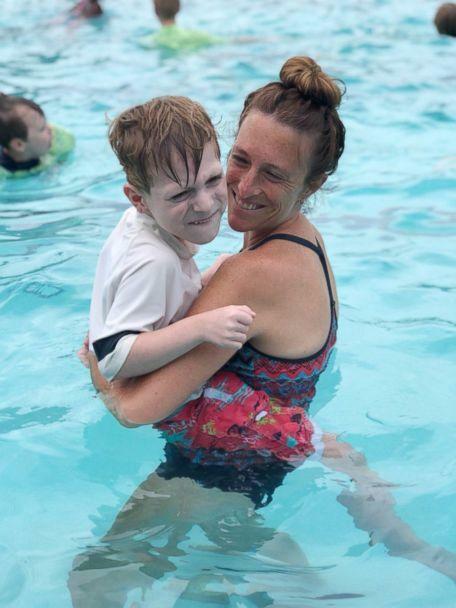 "It was isolating," said his mom, the author of "Unbound," a book about motherhood and special needs. Today, Charlie -- now 6 -- uses a wheelchair to get around. 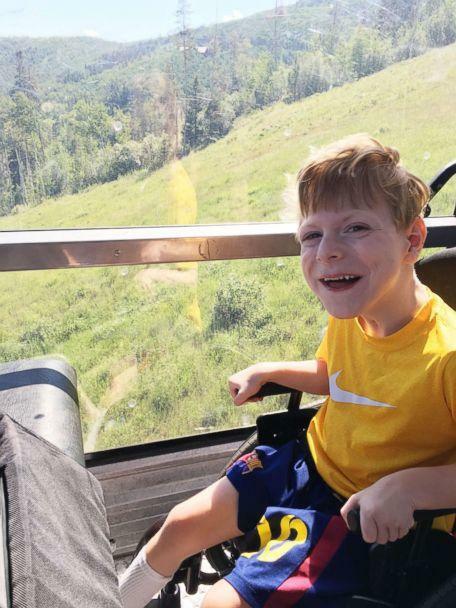 The family had attempted the Beaver Creek vacation once before with Charlie and his younger brother and sister, but it "was a disaster," Sumner told "GMA." 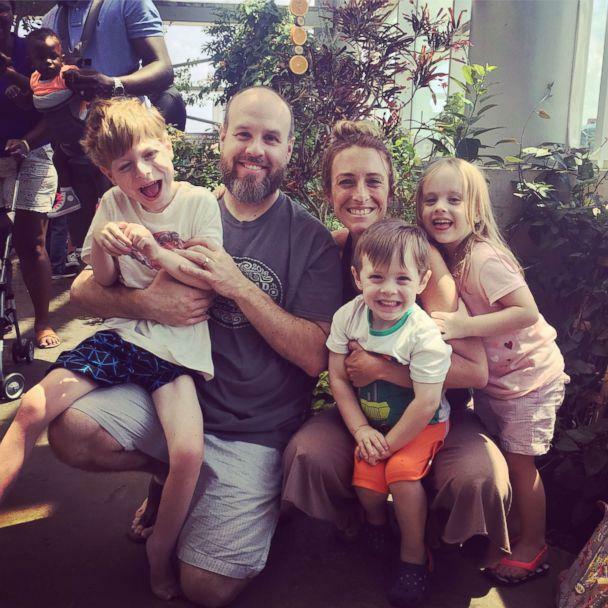 This vacation though, was the "best family vacation ever," for the Sumners from Nashville, Tennessee, in part because of the help of perfect stranger. "Charlie hiked with us in a hiking backpack, we took the train in Leadville, made sure he got to do everything," his mom said. "But the ice skating, that was the one thing I could not think of a way to make work." 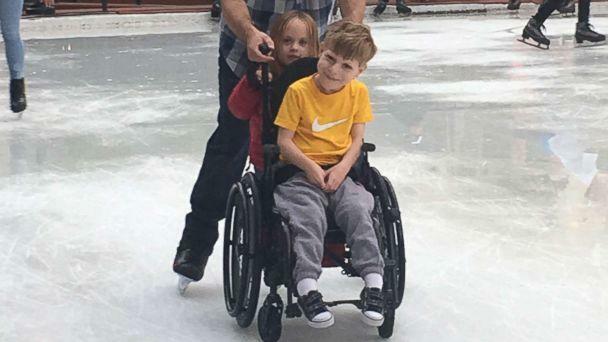 His younger brother and sister, now 4, had been "begging" to go ice skating, Sumner said. Her husband, Jody, plays in an ice hockey league, so he wanted to skate too. At first, it was a situation all too familiar to the family: together, but separate. 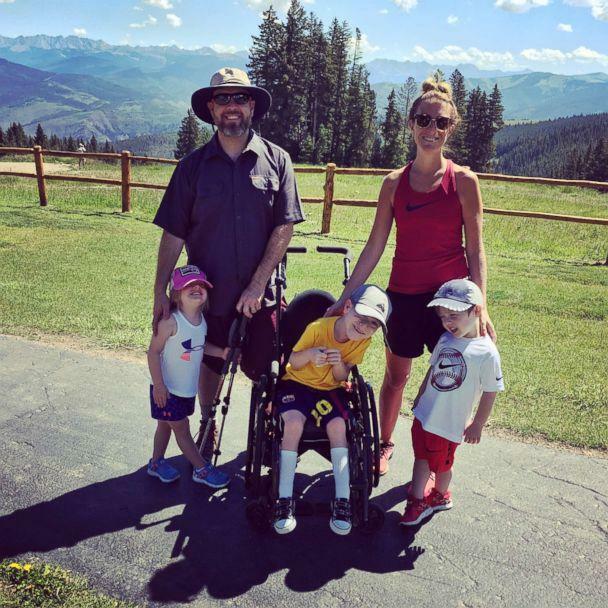 "When we go to the park, I'll take Charlie on a walk in his wheelchair on the path while Jody climbs on the monkey bars with the twins," Sumner said. Charlie and his mom watched the rest of the family from the side. The ice rink worker, whom the family knows only as Richard, was helping Jody with the twins on the ice. But Charlie wanted to skate too. "Charlie kept pointing to ice," Sumner said. "Richard came over and said 'want to take him out on the ice?' I wasn't prepared, I didn't think it was an option," Sumner said. While many people often comment on Charlie being "cute," Sumner explained, they "very rarely offer to be hands on." "This guy just did it," she said. "He did not treat Charlie special. He treated him like everyone else, just the way he did with his brother and sister." Sumner attached grippers to her shoes and out on the ice they went. Jody took over, using all his hockey training to give Charlie the fun he deserved. "Charlie loved it," she said. "He loves to go fast, which he did, he loves to spin around, which he did." And now, simply because a stranger treated a child with a disability like any other child, the family has a new activity they can do together. They won't be waiting until next year's trip to Beaver Creek for it either. "We're going to do it at the indoor rink here," Sumner said. "It's going to be family night."